Essential oils have become very popular because of their pharmaceutical value. They are a natural remedy for many health complications. Many online resources give general advice about the use of essential oils. This vague advice has left many people wondering about their safety. Are essential oils safe? This article addresses this question and discusses the possible side effects of essential oils. Are Essential Oils Safe? How to Choose? If used appropriately, most of the essential oils are safe and wouldn't cause great health risks. That being said, it's still important to take special care when introducing any substance to your body. Also keep in mind that you should never consume essential oils as it could lead to harmful results. When using essential oils, there're several things that you should take into consideration. Essentials oils are sometimes diluted using synthetic chemicals, similar smelling essential oils, and vegetable oil. When buying essential oils, check for the purity label. Sometimes labels indicate that they contain a certain percentage of vegetable oil. This does not mean they are unsafe but is a way of making expensive essential oils affordable. Some oils like pure rose or neroli cost over $100 per teaspoon. Diluted essential oils may disappoint you if you were looking for pure essential oils. However, they are safe when starting with professional quality essentials, which are highly concentrated and hence must be diluted. Essential oils are safe when applied in the recommended method. For instance, some oils are safe when inhaled but unsafe when applied on the skin even in small amounts. Such oils include thyme, clove, cinnamon bark, and oregano essential oils. Some citrus oils (such as bergamont, lime, orange, lemon and angelica) cause severe burns or skin cancer when exposed to natural sunlight or sun-bed radiation after application on the skin. Always check the recommended application method, amount, and use of each essential oil. Seek professional advice before using any essential oil. Most of the aromatherapy oil blends contain 1-5% dilutions. This percent is safe but increasing the percentage to higher levels may lead to dermal or skin reactions. These reactions vary depending on the essential oil used, area applied, and the individual’s level of sensitivity. Essential oils are lipophilic in nature and hence their excessive use will cause irritation and other side effects. The answer to the question, ‘are essential oils safe?’ may lie in the condition of your skin. Essential oils permeate easily through damaged, diseased, or inflamed skin. Hence, such skin is more susceptible to dermal reactions. Do not apply undiluted essential oils to damaged, diseased, or inflamed skin. They may worsen your skin condition, which in turn will increase the amount of oil absorbed. You may also experience sensitization reactions. Some essential oils are unsafe for infants, toddlers, and young children. This population is more sensitive to the side effects and reactions associated with essential oils. Safe dilutions for this population range between 5% and 2.5 % depending on the condition. Infants, toddlers, and young children should avoid Birch or Wintergreen oils, which contain high amounts of methyl salicylate and peppermint. The elderly have more skin sensitivities and hence may require low concentration or dilution. Photosensitizing essential oils cause your skin to burn in sunlight. They may cause oozing burns and skin discoloration. Some of the photosensitizing oils include bergamot, lemon, lime, and cumin. Essential oils should be highly diluted when applied to babies, pregnant women, kids and breastfeeding women. Pregnant women should not use rosemary and spike lavender essential oils while babies below one year should not use any essential oils. It is advisable to use oils manufactured specifically for babies or pregnant women instead of using undiluted oils and guessing the safe oils. Some of the essential oils that pregnant women should avoid include sage, mugwort, tarragon, and wintergreen essential oils. If you are still asking, “are essential oils safe?” here is another clue. A drop of peppermint oil when applied on the back of your neck can relieve a headache or cause a serious skin reaction. Most undiluted essential oils irritate the skin. Always test with a small part of your skin before using an essential oil, even if it is diluted in moisturizing carrier oil. Do not apply any oil directly to your skin. Some essential oils that can cause skin irritation include lemongrass, cinnamon leaf, citronella, and bay essential oils. Using essential oils with some preexisting conditions such as asthma and heart problems can cause additional side effects. You should only use essential oils with such health problems under the guidance of a trained aroma therapist. 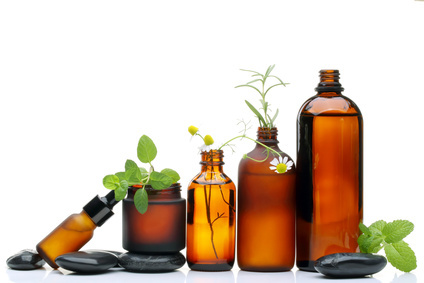 Aromatherapy involves over 200 hours of training on subjects such as chemistry and drug interactions. Essential oils should not be swallowed unless when directed by a medical professional. Pennyroyal and wintergreen oils can be fatal while other toxic oils could lead to a miscarriage when swallowed. Essential oils could also be irritating if they have been stored for a long time. Note: The outlined dangers and side effects of essential oils should not discourage you from using them. They should caution you to seek advice and information. Consider alternative ways of benefiting from essential oils without using them directly on your body.